The major anatomic patterns of peripheral nerve disease can be distinguished by the clinical presentation—mononeu-ropathy, multiple mononeuropathy, and polyneuropathy. 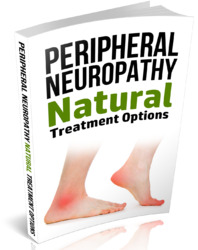 Mononeuropathies occur when there is damage to a single peripheral nerve or root. This is seen with local entrapment from causes such as trauma (acute or chronic), tumor infiltration, or infarction. Multiple mononeuropathies (mono-neuropathy multiplex) occur when several nerves are individually affected by a disease process. Involvement is usually asymmetric and noncontiguous. These mononeuropathies are much less common than other peripheral neuropathies and are more difficult to recognize and treat. Multiple mononeuropathies are usually seen with systemic diseases such as vasculitis, diabetes, and rheumatoid arthritis. Poly-neuropathies occur in a symmetric, diffuse, bilateral pattern and produce a characteristic stocking-glove pattern of sensory changes. 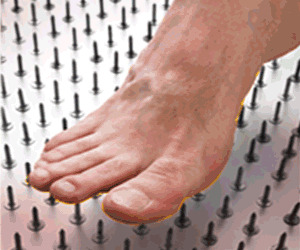 However, most polyneuropathies affect both sensory and motor nerves. Some can affect peripheral auto-nomic nerves. Many common peripheral neuropathies fall into this category.